Sydney, Australia-based enterprise software company ScriptRock has landed $1.2 million in a seed funding round led by Facebook board member, PayPal co-founder and technology startup investor Peter Thiel. The fresh capital comes from one of Thiel’s investment vehicles, Valar Ventures. It’s the first time he’s backed an Australian company. Other backers include 500 Startups, Starfish Ventures, Startmate, Postini founder Scott Petry, Paul Bassat, Alan Jones, Mark Jung and Bruce Graham, among other angel investors. ScriptRock had earlier taken part in Startmate’s 2012 incubator program, and recently won two awards at the Citrix Global Synergy Conference (taking out both the Startup Accelerator and People’s Choice awards). The company will continue be run out of Sydney, although ScriptRock says it will use part of the proceeds to establish offices in San Francisco. ScriptRock provides software that certifies configurations of applications hosted internally or externally, allowing companies to test complex system configurations and share them across internal teams. According to a report from the Sydney Morning Herald, ScriptRock currently has 280 clients, with another 180 on a waiting list. 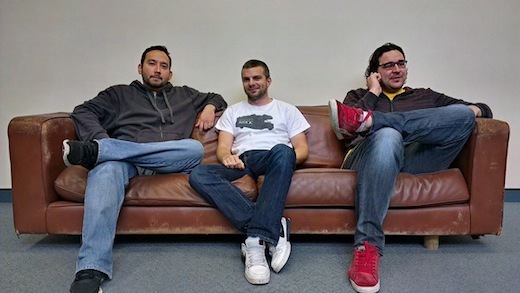 The company was founded by Michael Baukes,Alan Sharp-Paul and Leo Venegas (who are pictured in the featured image at the top of this article).